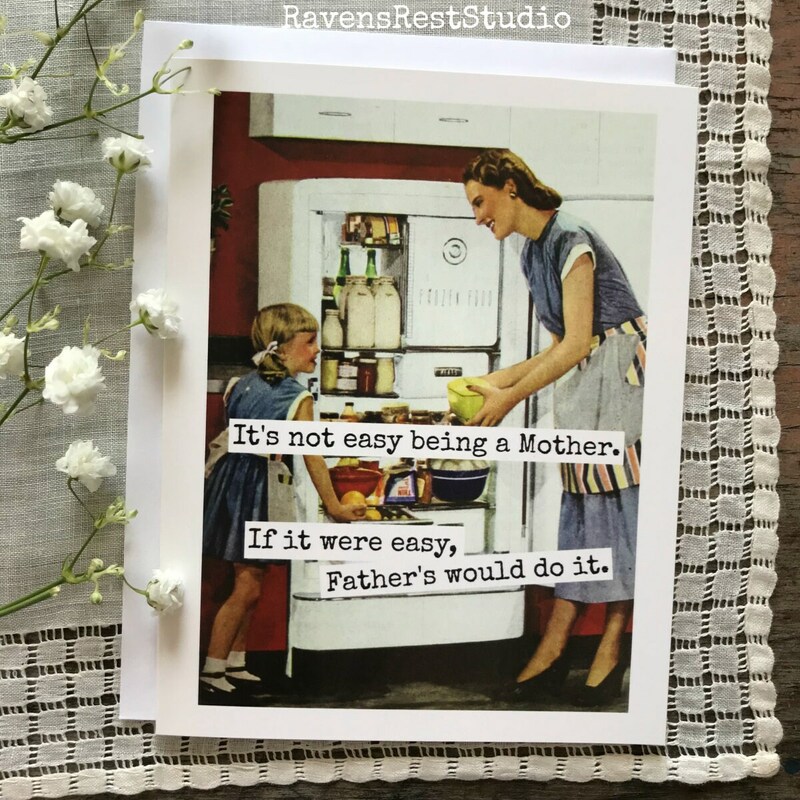 This card features a vintage mother in the kitchen and reads: "It's not easy being a Mother. 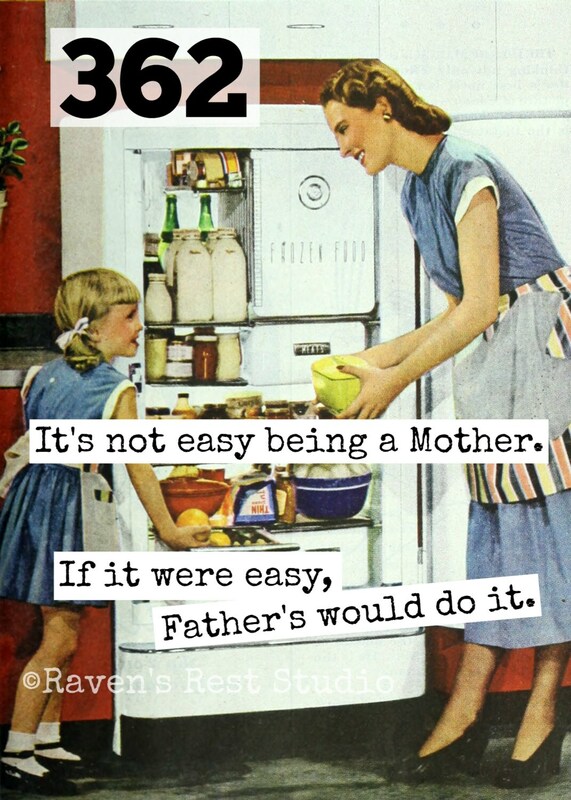 If it were easy, Father's would do it. ".